Elena is an Advocate and an Eurasian and Russian patent attorney. Elena specializes in IP law. 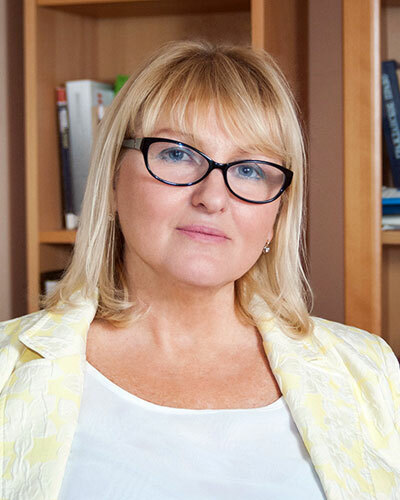 She has considerable experience providing a full range of patent and licensing services and conducting research projects focused on protecting intellectual property rights (inventions, industrial designs, utility models, and trade marks) in Russia and abroad. Besides this, Elena’s work has also involved IP due diligences and advising on patent policy-making and corporate brand strategies. Furthermore, Elena participates in court proceedings, representing clients in disputes related to the protection of IP rights. She takes part in court hearings as an expert of the State North-West Regional Centre of Forensic Examination. She is a member of the Patent Attorneys’ Association of Russia and the Review Board of the Federal Institute of Industrial Property. As a full member of the St. Petersburg Patent Bar, Elena plays an important role in expanding contacts with entrepreneurs, authors, city administration, and professional and social organizations concerning creative and entrepreneurial activity in Russia and abroad. Elena is a regular speaker at professional conferences and has authored more than fifteen scientific and practical articles. IAM Patent 1000 2016: Elena Bedareva excels at devising forward-looking patent strategies and conducts due diligence with rare rigour. 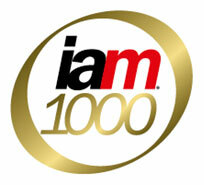 IAM Patent 1000 2014 – 2015: One of the World’s Leading Patent and Technology Licensing Practitioners for Russia. IAM Patent 1000 2013: "Noted attorney Elena Bedareva of global firm Dentons deploys her natural sciences background to great effect when devising multi-layered licensing deals". IAM Patent 1000 2012: "Elena ‘impressed with her ability to guide her clients – many of them non-Russian multinationals – through the complexities of commercializing their intellectual property in the CIS’." Member, Patent Attorneys’ Association of Russia. Member, Review Board of the Federal Institute of Industrial Property. Member, St. Petersburg Patent Bar. Advocate Russian and Eurasian Patent Attorney at Elena Bedareva’s Advocate office, St. Petersburg (at present). Associate and Patent Attorney - Dentons (formerly Salans), St. Petersburg (2008 to 2016). Associate and Patent Attorney - Beiten Burkhardt, St. Petersburg (2006-2008). Associate and Patent Attorney - DLA Piper Rudnick Gray Cary, St. Petersburg (2005-2006).